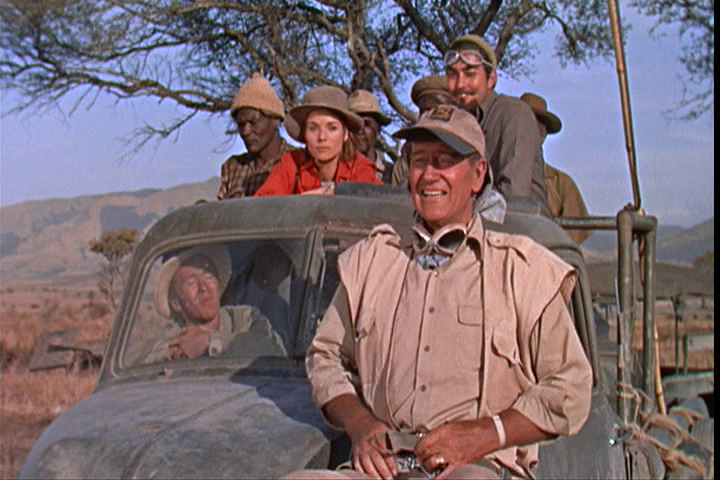 Its pretty hard to go wrong with a film that features John Wayne, lots of testosterone, wild animals, old trucks and jeeps and a really cool man-camp. 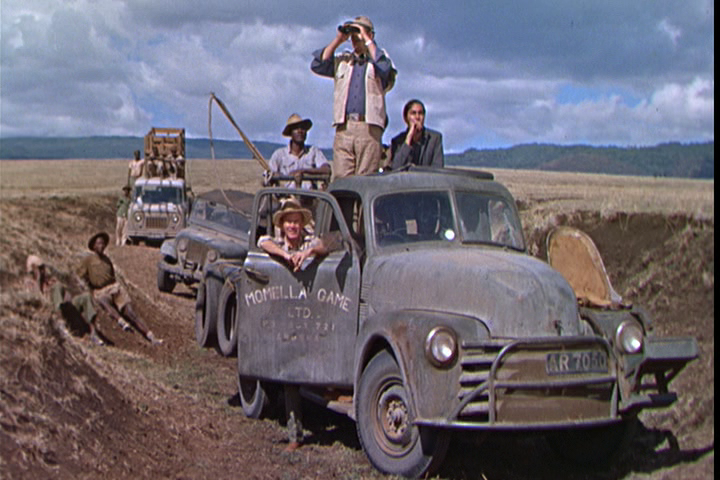 Throw in an adventurous girl and a classic sound track, some early-’60s safari fashion, and you have a romping tale of daring adventure called Hatari (1962). This film is not politically correct, but who cares about the PC nitwits anyway? It even has typical gender-jokes of the era that would get a kid expelled from the state schools today, like: “this one has to be a female, she can’t make up her mind which way to go!” What this film lacks, however, is a thrilling story. It has a plot, and its a fun film to watch, but its not profound. 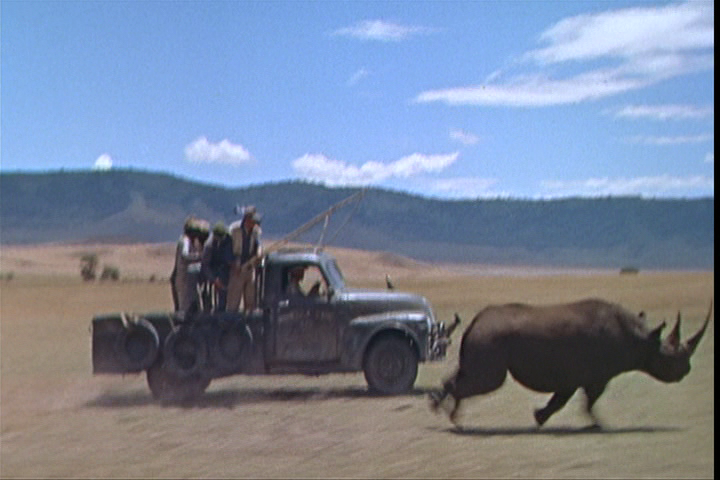 Its just a fun movie filled with great driving sequences and wild-animal wrangling, some comedy and some romance. Its a good family film that all can watch. This is the story of a group of safari men who catch African wildlife to sell to zoos (where did you think the animals came from?) 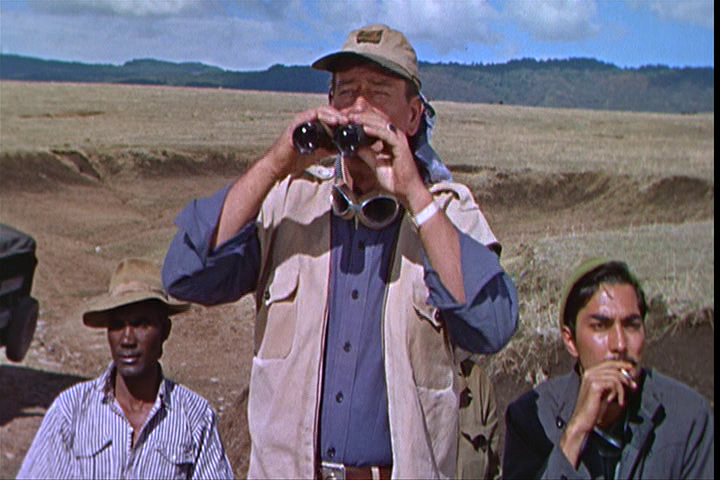 After a particularly difficult failed catch in which one of the men is gored by a rhino, the group returns to base to discover a professional photographer has arrived from an influential zoo with an assignment to take photos. The men are thrown for a loop since she’s a woman and a complete amateur in the bush. Yet this woman’s presence brings all sorts of challenges, like baby elephant husbandry, to the group. 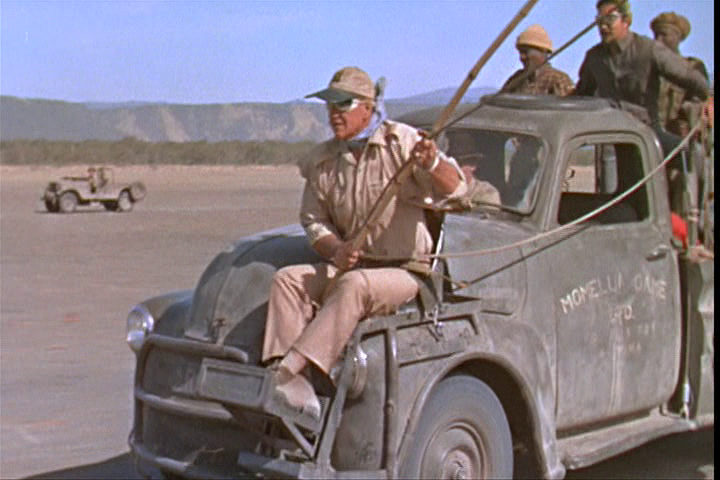 The film, though it was the highest grossing film of the year for Paramount Pictures, is considered to have been an excuse for director Hawks and John Wayne to have a great adventure outside of the studio’s snooping control. 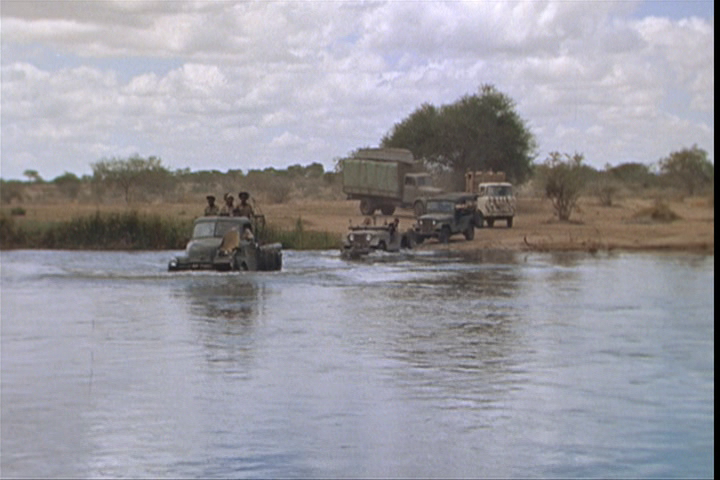 They had no complete script while in Africa, and only completed it afterwards based on what they were able to caption on location. 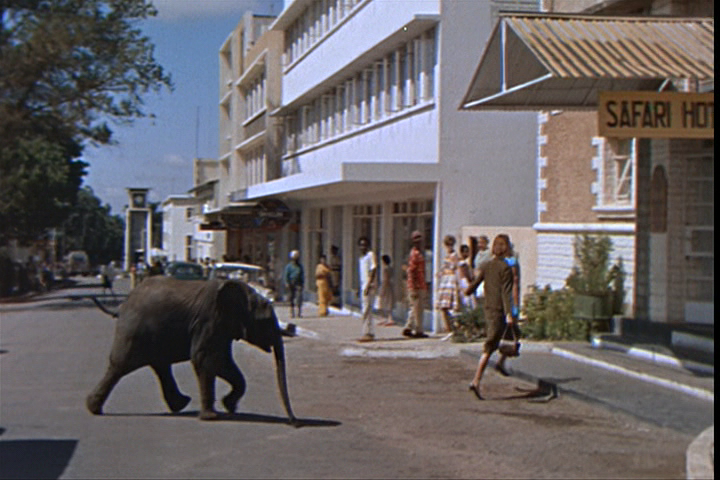 The film is a great romp through Africa with danger (Hatari means danger in Swahili) at every turn. The soundtrack is a classic by the famous Henry Mancini, including the song Baby Elephant Walk which nearly everyone has heard, but few know it came from this film. I have read one of the biggest complaints with the film is the excessive smoking. The film was supposedly partially financed by the tobacco lobby. Well, don’t smoke cigarettes, they kill. But don’t let that keep you from the film. Usually its westerns and war movies for John Wayne. Here we find him outside of his regular role, surrounded by an entertaining and funny cast. Its a great adventure and well worth seeing. I give it an A for adventure.